When you know you are moving house and have a completion date you need to decide how much of the work you will be taking on yourself, and how much you will be hiring assistance from a removal company. To make a start get some advice and quotes on different services such as hiring a removal van, a man and van service as well as the complete move done by a moving company. This will give you an idea on the difference in the cost of the varying services. From this information you will be able to decide how far your budget will stretch to how much help and assistance you hire. Try to find several removal services first and arrange for meetings with each. You can ask people you know if they can suggest a reliable moving company or if not source the internet and local papers for removal services in your area. Contact the customer services and discuss your requests, book appointments with a representative who will supply a quote on the load you are moving as well as extra services such as packing and unpacking, and also ask for other cheap removals available. Nowadays there is a selection of services on hand to help in all situations and to cater to all budgets. If you only have a smaller amount to move it may be worth just hiring a removal van and doing it yourself. Ask family members or a friend to help and pay with a meal out or a gift you know they will like, or a favour to help them around the house or garden. With a lesser load it will not take long to pack up and move to a new place. If you have a bad back or have no time a man and van hire will also get the job done quickly with relative ease. Larger removals are the trickier. When you have a lot of furniture, appliances, electronic equipment and possessions this can take a lot of time. For most movers hiring a professional removal company to do most of the move in a single trip will be easier and quicker than sorting it yourself. These companies employ workers who are experts at handling all sorts of moves and will do it competently. In addition you can pay for more help if you need it including storage if you have a delay on a moving date, a move out cleaning if you need your old or new property spring cleaning. These companies are the best solution when time is limited, if you need packing supplies, help loading, unloading and unpacking it can all be arranged. When moving house ensure you start in plenty of time arranging a moving checklist. Depending on many factors such as the size of your load, where you are moving and your finances will help be the deciding issue to how you will get it sorted. Today there is such a lot of help and assistance available to make a move go much easier. Remember there is an answer to all problems and there is a service available to suit your needs. Whether you are hiring a professional company or doing it yourself take your time. Don’t rush into it, as it is a big job. Research tips will help if you are doing the move yourself. Or get advice on how other people have managed a removal. 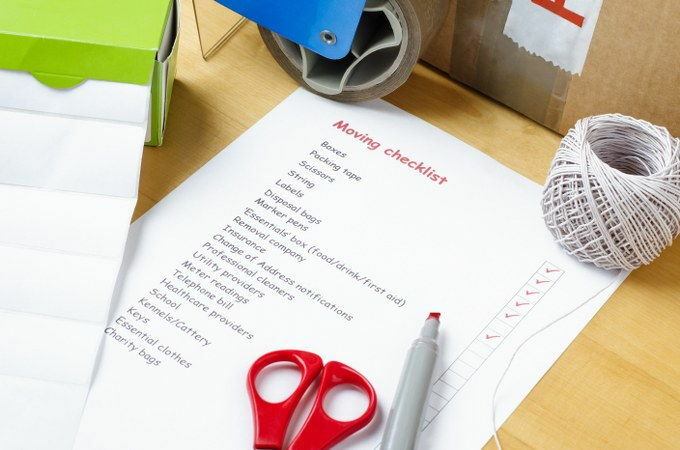 This will help make your move less hectic and an easier process.